Every year approximately 4000 people are reported missing in Israel. They are children who ran away from home, hikers who got lost on their way, and elderly people with Alzheimer’s disease. Most of them are found alive within a few hours, some of them are found after a few days, some are found when it is too late but some are never seen again. The Search and Rescue wing of the Israeli Dog Unit operates all over Israel to help everyone return to the safety of their home. Many times we are the only organization that helps the desperate family find their loved one. Our highly skilled and dedicated volunteers spend their valuable time searching even in the most dangerous areas, often during the night and in life-threatening cases, even on Shabbat. 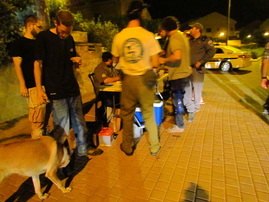 We are the only organization in Israel that has specially trained search and rescue dogs available 24/7. These dogs with their superior sense of smell are able to detect the missing person even when humans couldn't possibly find them, such as in pits or under a collapsed building. The dogs come from the best working bloodlines of Europe, from carefully selected ancestors. Some of them were brought as already trained adults, some of them were raised and trained by us, but all of them are highly reliable, intelligent animals who help tremendously on our missions. In addition, we have also established our own breeding program to mate some of our best dogs. We are always in need of support. 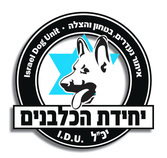 The Israeli Dog Unit doesn't receive any government funding. Our work is made possible only by a few generous people offering donations. The organization is also looking for volunteers who handle and train dogs and aid us on searches. Please contact us if you need our help finding a missing person or would like to support us by any means.